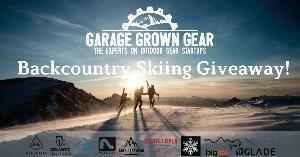 Prize: 1st Place: Pair of Icelantic Skis; Dyneema ICE PACK; 1 night @ the Grand Targhee Ski Resort; 1 Lift Tickets to Sun Valley Resort; Pair of 4-Season Gloves; Pair of Goggles; Snow Helmet + more. 2nd Place: Pair of 4-Season Gloves; Pair of Googles + more. Statistics: This contest was opened by 107 and entered by 8 ContestChest.com members. 7% of those who opened the contest, entered it.